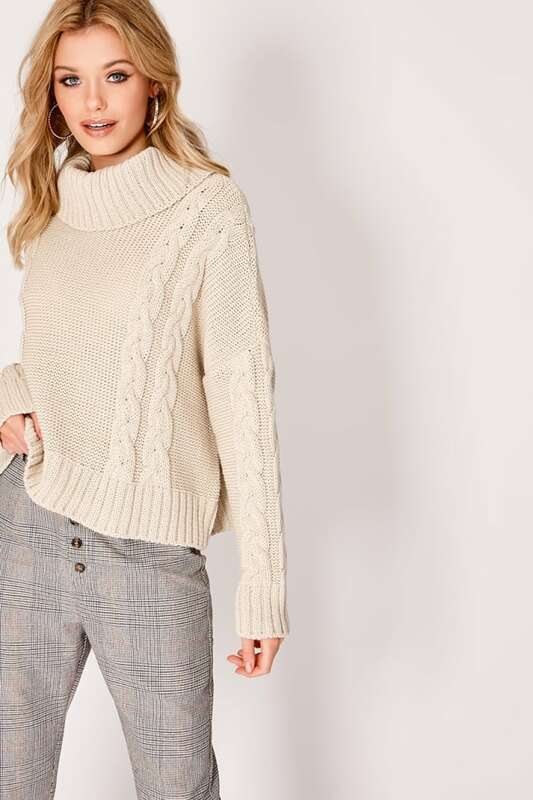 Jumper season is upon us and this stone knit jumper from Laura Jade's new collection is perfect for the perfect addition to any Autumn wardrobe. 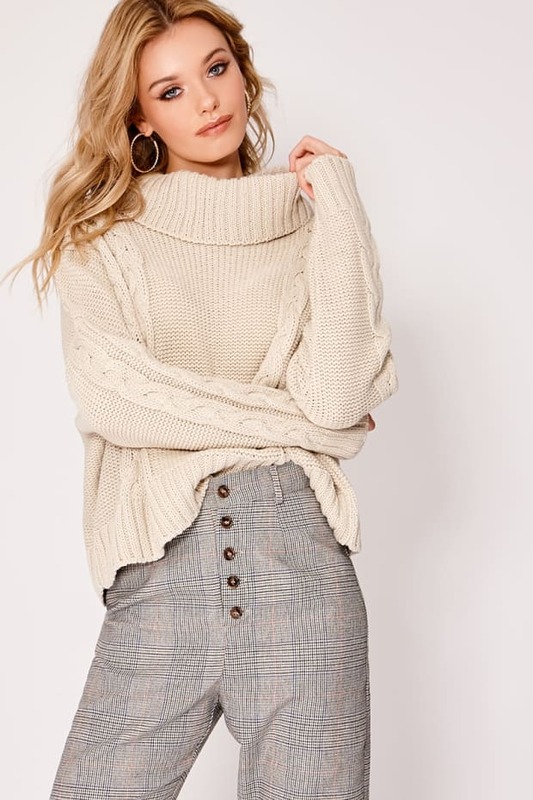 Featuring cosy cable knit detail, a chunky roll neck and cropped length this jumper will see you through 'til the new year! 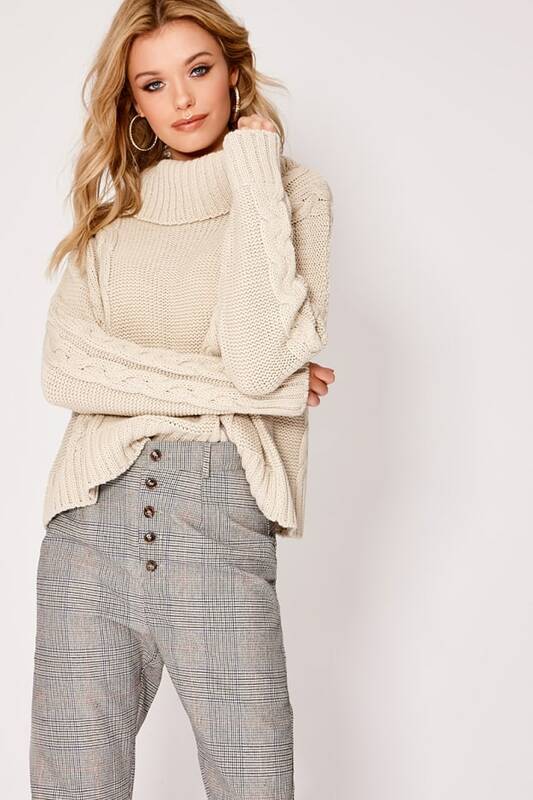 Team it up with check trousers and heeled boots to complete the look.